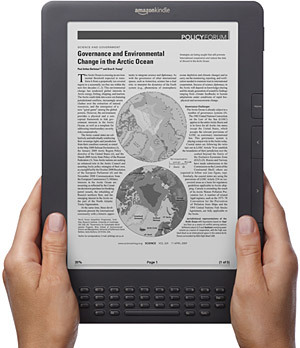 If you simply refuse to buy that other 9.7-inch e-reader that does oh-so-much more, consider the new Graphite Kindle™ DX . It combines all the benefits of prior Kindle models — like Whispersync book syncing, free 3G wireless for book downloads, the largest selection of e-Books around, and a hardware keyboard — in a new stylish graphite body that also sports an improved display with 50% better contrast. It also points out that as the Kindle, and the Apple iPad™ Tablet, continue to “mimic” traditionally-printed publications in size and format, they must also match their counterpart’s level of professional design and formatting.